Work on tailoring Google Chrome’s appearance to support the high pixel-density of Apple’s new ‘Retina Display’ MacBook Pro has begun. Google’s Nico Weber, writing on the Chrome blog, explains that the company are ‘committed to polishing Chrome until it shines on that machine.’ Basic high resolution support in Chrome is already available to users of the Canary channel. The new high res MacBook became very popular, so orders have been delayed due to demand. 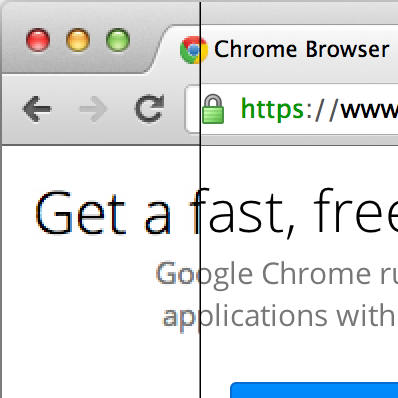 This might give the Chrome team a little bit more time. Don't know for sure, though. Here is a nice little pic showing off the high-res improvements. Let me know of your thoughts below.